Cheap Meds 24 is a online medicine company established less than one year ago, found on the web at cheapmeds24.net. The company claims to offer the cheapest generic medications available in the market with discounts for its regular customers. Hwoever, other than the good customer reviews on the website, it does not have a good reputation anywhere else on the web. Cheap Meds 24 has a very good reputation amidst its consumer base regarding all aspects of its products, reliable manufacturers and its business services. They are also an online shop that makes strong claims of being certified and approved by the World Health Organization. Although they claim that the certificates are available on the shop, we found no such certificates during our comprehensive review. As per our review, we found it to be making claims which were made without any proof of its authenticity or reliability. Cheapmeds24.net is rated to be of the highest risk by ScamAdviser. With its low trust rating of 0%, there is just not any justification for it. A business based in Ukraine also goes against it as it is a low-trust country with a high rate of frauds and duplicate products. Amazingly, ScamAdviser reports shows that the website has been viewed just once. Most of the other information is not available due to privacy issues. A slow to operate website which is highly unreliable is not the best way to run an online pharmaceutical business. It is shocking that this business has positive reviews on its website. The accuracy of the customer testimonials is doubtful and they may even be fake for luring in innocent consumers to the website for purchases. Cheapmeds24.net is not on the CIPA Member database. CIPA is the Canadian International Pharmacy Association which has marked Cheap Meds 24 website as “Invalid” according to its database. Not being a member of the CIPA puts into question the safety approval and certification of cheapmeds24.net as an online pharmacy. LegitScript qualifies cheapmeds24.net as “ROGUE”. LegitScript recognizes it as an internet pharmacy but due its rogue approval status, there is no way consumers should pursue any further business with this company. It does not meet any normal standards of a pharmacy business, or any policies or regulations for the safety of handling medicines to patients. Simply put, it’s a fraud business! 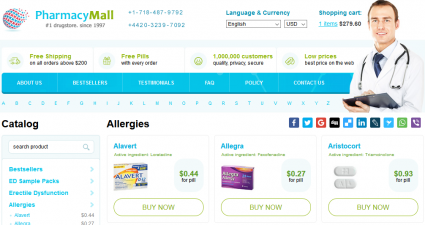 In the About us section of cheapmeds24.net, it claims that the primary objective of the company is to make life easier for its customers with the best prices for their pills. It also makes claims that they offer upto 90% off from medications available in ordinary chemists. While our review based on the web analytics were not positive for cheapmeds24.net, there are tons of testimonials posted on the website supporting its claims. 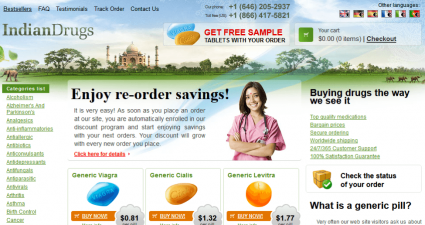 According to the customers’ testimonials, the price is unbelievably low on this website, even for medicines that available elsewhere both on the web and at chemists. The quality, availability, price, deliver and the customer support made available for customers, all seems to be positive for cheapmeds24.net. 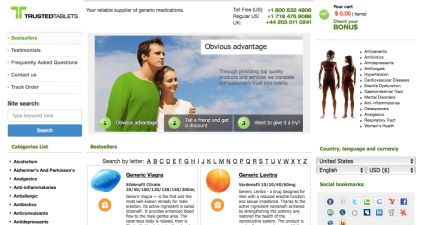 Unsurprisingly, Trustpilot also has no information to judge the trust of cheapmeds24.net on its website. As an unclaimed business, it fails to register any reviews or ratings as an online pharmacy business. MyWOT does not hold any reviews of ratings for cheapmeds24.net either. Like the other review websites, even MyWOT is unable to rate its reputation for trustworthiness, safety, or anything else of that matter. The high level of distrust and negligence shown by the owners of the Cheap Meds 24 business is unbelievable as any business, let alone a hihghly sensitive business such as online pharmacy dealing with medications for potential patients. Cheapmeds24.net mainly conducts its businesses in US and Canada with orders available by phone and 24/7 online chat service. 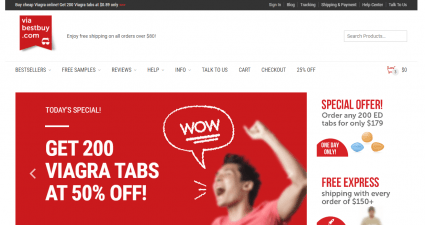 It can be seen throughout the website that there are no coupons or discounts available, most likely due to its extremely low-priced products. However, during checkout it shows that larger orders have a lower per pill cost and it conveniently displays the amount saved with a larger order. Cheap Meds 24 is an highly untrustworthy online pharmacy with incredibly low ratings or even, no ratings available on reputed review sites. But it claims to be a great company with quality products from reputed manufacturers and satisfied customers. In conducting the review, we found no evidence to support its claims or even the customer testimonials. This brings into question whether or not the customer testimonials displayed on the website is genuine. Regardless, Cheap Meds 24 cannot be trusted as an online medicine business. We give the cheapmeds24.net the lowest possible rating of 1 star out of the maximum 5 stars.